Your happy place isn't just a fantasy, or the private island on your dream board anymore, it's real. Retreat to Noble Square and find your inner child at this traveling pop up of colors and confetti - lots of confetti. 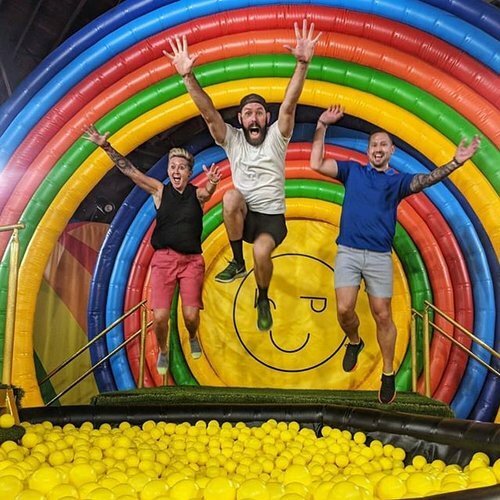 The Happy Place had huge success in Los Angeles and the event, which runs until Sept 3rd, features art installations that inspires childhood nostalgia. Don't be confused, this pop-up offer fun and aesthetics adults can enjoy, a good decompressor after working 9 -5, and let's be honest, it'll look great on your Instagram. Get your tickets and stop by before its gone.